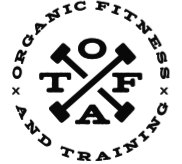 Organic Fitness and Training offers group training. They specialize in small outdoor fitness classes while focusing on building professional relationships with their clients. All classes are suitable for all levels - although they are there to push you, ultimately you decide how hard to go. Their intense full body 50-minute classes involve high and low load strength and cardiovascular training. They incorporate a broad range of exercises from running stairs, free weights, plyometrics, kettlebells, sand bags, and body weight. You will burn tons of calories while increasing overall strength, cardiovascular endurance, flexibility, agility, speed and power. Challenging class and Jacob will put you through the ringer. You can go as hard as your body can handle but this class is fine for beginners that want to go at their own pace. awesome trainer and great class, music. loved it! Awesome interval workout! Lots of sweating... challenging but fun!!! Challenging workout! Jacob was excellent and encouraging. Would definitely recommend this class if youre looking for a good sweat and to feel the burn!! One of my favorite classes to take on classpass! The class is challenging and the instructor is super friendly and motivating.